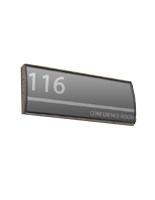 This Discount Sign Supply From Our Manufacturer Can Be Hung Quickly and Easily. Hundreds of Sign Supplies Are in Our Warehouse Inventories! 3" x 4" 3" x 5" 3" x 8" 3" x 11.5" 3" x 15" 4" x 5.5" 4.5" x 24" 5.5" x 6" 5.5" x 9" 5.5" x 15" 6" x 7.5" 6" x 8.5" 7.5" x 10" 7.5" x 11.75" 8.5" x 11" 8.5" x 16.5" 11.5" x 17"
Sleek black coloring to easily coordinate with any professional environment. 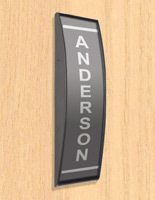 This nameplate is ideal for open places like foyers, workplaces, airports, banks, hotel conferences and colleges. 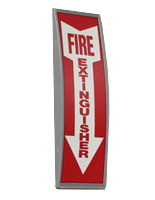 Using double-sided foam tape, this sign supply can be effortlessly affixed to any flat surface area, in either upright or horizontal orientation! Door signage, like the one seen above, also enables fast and simple artwork changes. To alter your tailor made graphics, use the supplied suction cup to lift the non-glare lens and put your custom made sign below. This design allows for tailor made signage changes without detaching the product from the wall. 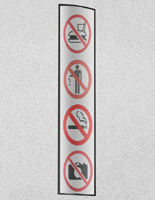 Images are not supplied with each workplace sign. 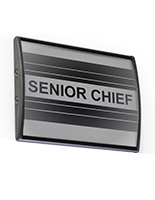 Clients can effortlessly produce then print their own tailor made messages and graphics, however. 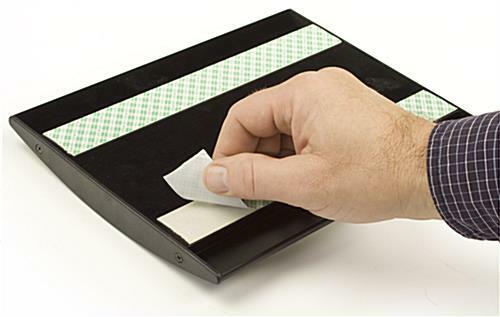 The design makes this frame ideal for the user to quickly bring up to date and modify facts. 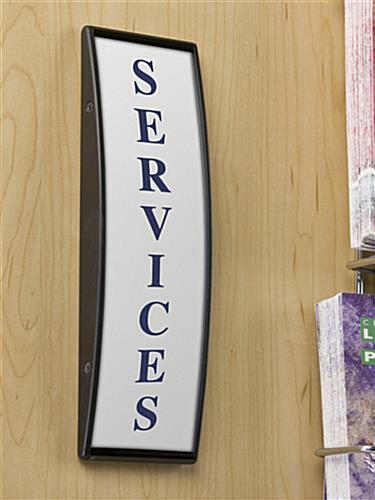 This cheap sign supply that displays a wall signage frame can be utilized individually or in multiples to make a wayfinding. 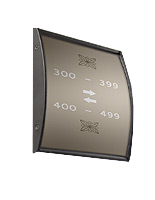 This sign supply has a curved design to attract clients and guests to your signs. Each frame includes a non-glare lens for an easy visual from all areas. The lens also protects the prints from being ruined as well. 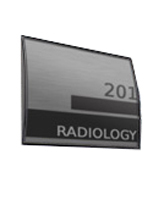 This sign supply has an anodized metal backer that will endure over several years of use. 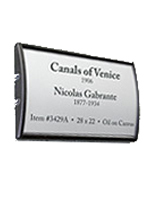 The black finish of the name plates means they are ideal for any indoor professional setting. 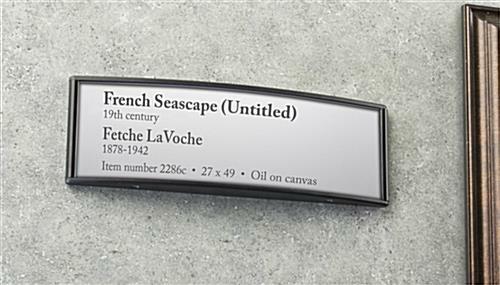 This sign supply, likewise known as a custom signage frame, is an inexpensive means to illustrate pertinent facts as well as room numbers, employee titles and division names to stop visitors from getting lost. This affordable sign supply equipment for indoor offices and companies are ready to be shipped from the supplier right away!